I understood that it would take time for my check to clear before my coins would be shipped. However, I was assured multiple times over the phone that I would receive an e-mail notifying me when my coins shipped. I had called several times to be sure because I wanted to make sure I would be home to sign. Unfortunately, despite all of the assurances to the contrary, I received no notification whatsoever when the coins shipped and, well, I was not home to sign. I had to go to a local pick-up station the next day to claim my package. When I got the coins, I was VERY disappointed at the condition. The coins were very scuffed and dingy. When I took them to a reputable local coin dealer, I was told they were in poor condition and they would only buy them at a discounted rate. I definitely feel cheated and will not be doing business with this company again. 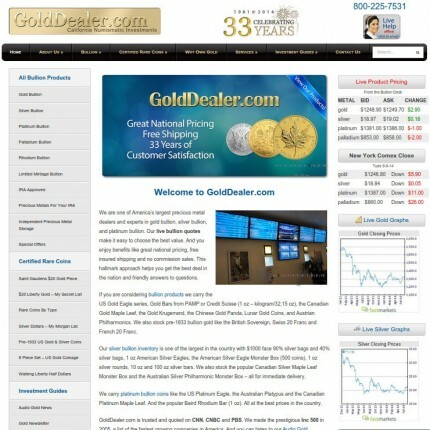 I've been buying gold and silver from CNI since 2001 when silver was $4.75. Prob. close to 100 orders; I can't remember any 'bad' coins or other problems. other than coins delivered to my office and signed for by a secretary, I picked them up at the post office. What's so bad about that? Rusty; did you check your trash or spam?